By avoiding confrontations in which Israel can win, Israeli governments risk backing the country into a confrontation which it cannot win. Israelis have gradually come to realize that at present the Palestinians are neither a partner for comprehensive peace nor capable of establishing a viable state…The Palestinian Authority has no intention of accepting a Jewish state in any borders, and the two sides remain far apart on most of the concrete issues to be resolved…Israel’s recent governments are left, willy- nilly, with a de facto conflict-management approach, without foreclosing any options. - Prof Efraim Inbar, director of the BESA (Begin-Sadat) Center for Strategic Studies, cited in David Weinberg’s “Israeli West Bank policy – where to?”, Jerusalem Post , August18, 2016. Israel is acting in accordance with a “mowing the grass” strategy. After a period of military restraint, Israel is acting to severely punish Hamas for its aggressive behavior, and degrading its military capabilities… The use of force … is not intended to attain impossible political goals, but rather is a long-term strategy of attrition designed primarily to debilitate the enemy capabilities.- Prof Efraim Inbar and Dr. Eitan Shamir “Mowing the Grass…” , BESA Perspectives, Paper No. 255 July 20, 2014. Last week, Jerusalem Post columnist David Weinberg published a wide-ranging survey of the views of several senior policy experts at Bar Ilan University’s BESA Center for Strategic Studies regarding Israel’s future “West Bank” policy. At the outset, allow me to state that, to my mind, BESA is perhaps the most solid strategic policy center associated with a major Israeli university—and the only one that is not doctrinally distinctly Left-of-Center. 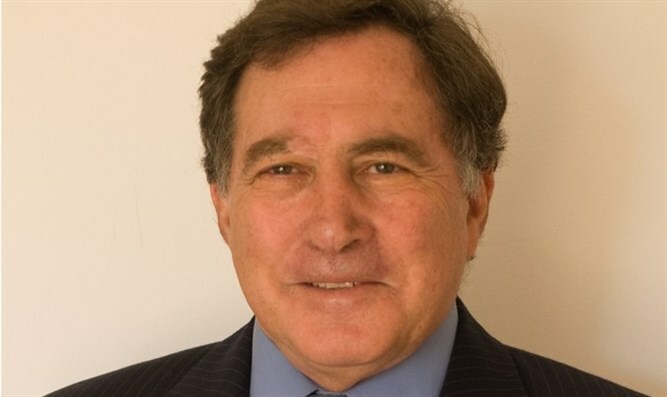 Moreover, I consider Weinberg, who is also BESA’s director of public affairs, to be one of the most insightful and incisive opinion-writers in the Israeli English-language media. That said, I have serious disagreements with the bulk of the positions he presents (although, significantly, he refrains from expressing any of his own), and am convinced that, if adopted, they bode ill for Israel’s future. Thus, according to Weinberg, the overriding theme that emerges from months of debate in BESA seminar rooms and on its website is that it “is wiser for Israel to defer action than to take steps that threaten to make a bad situation worse”. Thus, for example, Prof Hillel Frisch stipulated five possible Israeli policy approaches: caretaker conflict management, creative friction, constructive chaos, unilateral withdrawal, and unilateral annexation. While conceding none of the options is ideal, Frisch deems the “caretaker conflict management option” to be probably the most feasible, noting that in all cases Israel will have to maintain a significant military presence in Judea and Samaria. Inbar has long been a proponent of the conflict management approach. Indeed, soon after the outbreak of fighting in the summer of 2014 (Operation Protective Edge), he co-authored a BESA paper with Eitan Shamir, entitled “Mowing the Grass in Gaza” July 20, 2014—an approach that entails a new bout of fighting every time the Palestinian violence reaches levels Israel finds unacceptable. The paper essentially endorses a policy based on resignation to a reality of recurring rounds of violence, separated by intermittent periods of calm, whose length is determined by either the enemy’s willingness to engage, or its desperation, making it impossible not to. The “rationale” for this approach (as set out in the opening excerpt) is not to inflict decisive defeat and impose surrender of the other side, but to force a cease fire on it, after punishing it for its recalcitrant behavior, and degrading its military capabilities as part of a “long-term strategy of attrition designed primarily to debilitate the enemy capabilities”. Regrettably however, there is little evidence that this is succeeding. To the contrary, what we have seen is that far from “debilitating the enemy capabilities,” the said enemy keeps reappearing, spoiling for a fight, ever bolder, with ever-greater capabilities. Indeed, since Israel unilaterally abandoned the Gaza Strip—and after three bloody military campaigns, which that ill-considered initiative precipitated—the enemy’s capabilities have been enhanced far beyond anything imagined in 2005. Moreover, Hamas has exploited periods of calm to further advance and extend its infrastructures and other abilities, which were barely conceivable a decade ago, such as its massive tunneling enterprise and the development of naval forces including commandoes and underwater capabilities. Indeed, had Hamas accepted Netanyahu’s offer of “calm for calm” at the start of Operation Protective Edge, ceased its fire and continued with the construction of its attack tunnels under the border into Israeli communities, who knows what perils the country would be facing today. It is an open question just how many more rounds of “mowing” the residents of southern Israel will endure before losing confidence that the government will/can provide them adequate protection, and choose to evacuate the area permanently. But it is not only in the exponential growth of the terror groups’ martial prowess that the endeavor at conflict management has been a resounding failure. The same can be said—arguably even more so--with regard to the looming political threats Israel is facing, particularly as the Obama-term draws to a close, and the prospect of the US withholding its veto powers to block anti-Israeli measures becomes ever more tangible. Perhaps one of the most dramatic and disturbing indications of just how far Israeli positions have been eroded over the last two decades is reflected in the views articulated by Yitzhak Rabin, in his last Knesset address (October 5, 1995), a month before his assassination. In it he sought parliamentary ratification of the Oslo II Accords, then considered by much of the Israeli public as excessively dovish and dangerously concessionary. • insisted that Israel retain the Jordan Valley border – “in the broadest meaning of that term” – as its permanent security border. There can be little doubt that if today, Netanyahu were to embrace, verbatim, Rabin’s prescription for a permanent accord with the Palestinian-Arabs in the “West Bank” as articulated in his October 1995 address, he would be dismissed—scornfully, disparagingly and angrily—as an “unreasonable extremist”. There is, of course, some prima facie wisdom in the conflict-management counsel to refrain from hasty measures that are likely to make a bad situation worse. However, such “wisdom” does not have universal validity. This is glaringly manifest in Israel’s grim predicament. On the one hand, the country is facing the threat of rapidly escalating military prowess of non-state terror groups, increasingly able to threaten much of the civilian population, crucial infrastructure installations and to paralyze economic activity. On the other hand, the increasingly hostile political realities afford it diminishing ability to deal with these threats effectively. In this regard, it should be remembered that, today, with the changing nature of Arab enmity, the major existential challenge to Israel’s existence as the Jewish nation-state is no longer repulsing invasion, but resisting attrition. Accordingly, by advocating against the adoption of drastic measures to contend with a predicament that entails a mounting threat and decreasing freedom to deal with it, “conflict management” has become a prescription for avoiding immediate confrontations that can be won, thereby risking having to contend with later confrontations that cannot be won—or can be won only at ruinous cost. Regrettably, the penchant for conflict management reflects reluctance to face unpalatable realities, and unwillingness to accept the need for regrettably harsh, but essential, policies. In this respect, it is little more than a needless admission of intellectual surrender and operational inadequacy. Thus, when Inbar urges the government to eschew pursuit of “impossible political goals”, this—despite its ring of down-to-earth common-sense—is, to a large degree, misleading. For what is politically “impossible” today reflects in great measure the gross incompetence and impotence of Israel’s public diplomacy efforts—which are little short of a grave dereliction of duty on the part of successive governments. It is a diplomatic debacle that is endangering the lives of both Israeli citizens and Israeli soldiers—exposing them to recurring dangers because it is considered “politically impossible” to eradicate them. But what is “politically impossible”, given the current puny public diplomacy effort may well be eminently possible with a far more robust, muscular and assertive endeavor designed to provide the authors of Israel’s national strategy the freedom of action they require to achieve the goals they set for that strategy. Thus, diplomacy must be developed to facilitate the attainment of strategic goals, not to become a constraint that determines those goals. Conflict management as “red herring”? Accordingly it should be afforded the kind of resources that befits its vital strategic role. I have advocated allotting 1% of the state budget (i.e. one billion dollars) for a strategic diplomatic offensive. If that were done, one might find that what is politically impossible today, may suddenly become far more possible in the future—and conflict management will been seen to be no more than a misleading red herring.